Earlier today, we posted a remarkable video comprising a series of night-time photos captured by Paolo Nespoli on 5 November around 22:33 GMT. 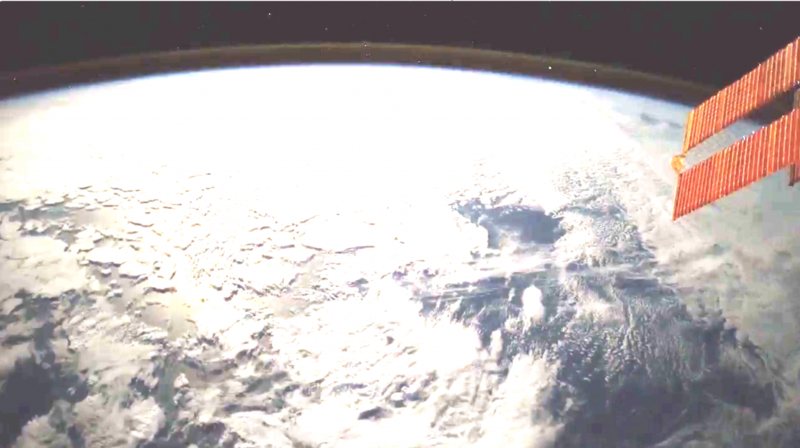 The images are shown in a time-lapse with a 1-second interval, and were taken while the Space Station was flying from the southern Atlantic Ocean over to Kazakhstan. Paolo was lucky enough to capture a fast fireball falling to Earth over the Atlantic, off the South Africa west coast – look closely in the video below between 00:07 and 00:08 seconds (at upper right in the frame). To understand in more detail what Paolo saw, we asked ESA’s Rüdiger Jehn and Detlef Koschny, responsible for near-Earth object (NEO ) activities at the Agency’s Space Situational Awareness Programme, to examine the images. 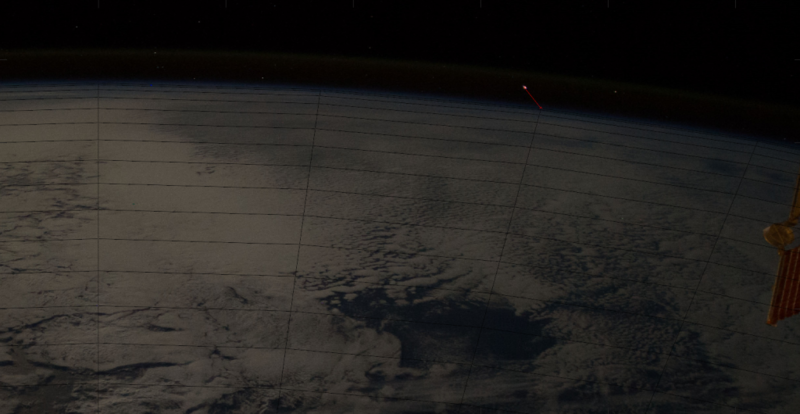 In the later images, one can see the fireball illuminating the clouds from above, so it must have been close to them – and close to the Earth’s limb. It also seems to show a little tail. It’s brighter than all the stars seen in the background; only at the very end of the video before sunrise do we see something of similar brightness – I guess Venus. So, if it is a meteor then it could be a decimeter-sized object. It might be a re-entering piece of space debris, but from looking at the entry angle (using the reflection on the clouds as reference) it’s coming in at too steep an angle. A fireball is basically a very bright meteoroid – a small bit of natural “space rock” – entering Earth’s atmosphere and burning brighter than the background stars. This particular meteoroid was moving much faster than typical, with an estimated speed of around 40 km/s. This speed is actually quite fast for meteoroids, which typically enter the atmosphere at around 20 km/s. I overlaid Paolo’s images with a grid, and measured the distance that the meteoroid was moving between image 2 and 5 (see the faint red line in the image below). I then assumed that the meteoroid was moving without radial velocity in the plane which is at the horizon and crossed the ‘centre’ of the Earth. With this, I measured a distance of 97 km and assuming that image 2 and 5 in the movie are 3 seconds apart, then the velocity would be 32 km/s. Adding a small radial velocity component might bring the velocity maybe to 40 km/s, which is quite a fast meteoroid (they average around 20 km/s) – but still in the observable range between 11 and 72 km/s. As for the naming convention: A meteor is the light you see when a meteoroid or asteroid enters the atmosphere. The object that causes it – the little piece of rock – is called ‘meteoroid’ if smaller than 1 m, ‘asteroid’ if larger than 1 m (unlikely for this one). We call bright meteors (brighter than Venus), a fireball. I guess this would qualify as a fireball.